Forget the "turf" stick to the "surf" for this sandwich! Pan fry salmon until cooked. Mix HELLMANN'S REAL MAYONNAISE andKNORR Japanese Teriyaki Sauce GF together. 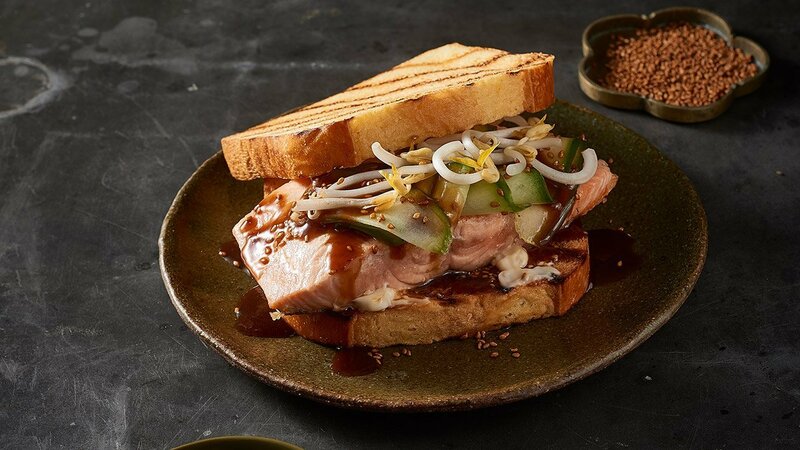 Spread teriyaki mayonnaise on bottom of brioche, top with salmon, cucumber, bean shoots and top with brioche.